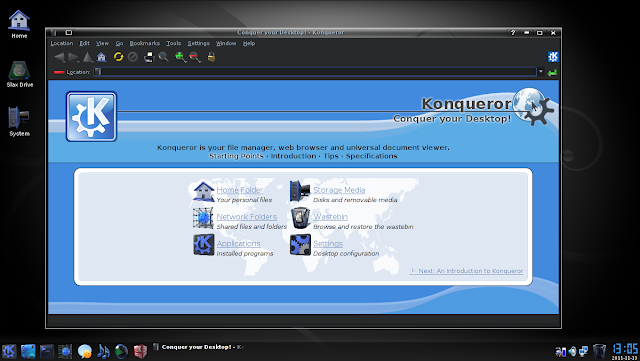 Thanks go to Douglas Mayne for the adapted 'Leonidas' wallpaper and creating the Slackware sign in the lower right for future editing in the GIMP, re-using other distributions' backgrounds. 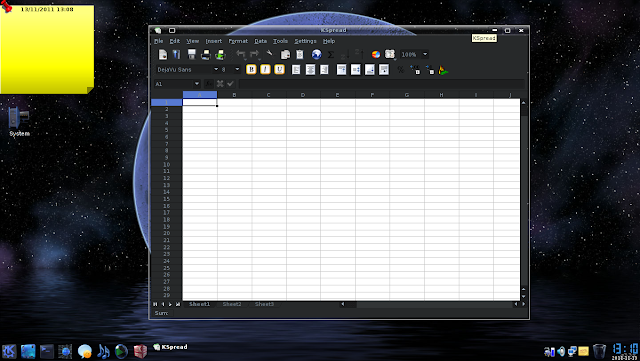 Noir-Crystal icons in Wbar, Elementary icons on the desktop. 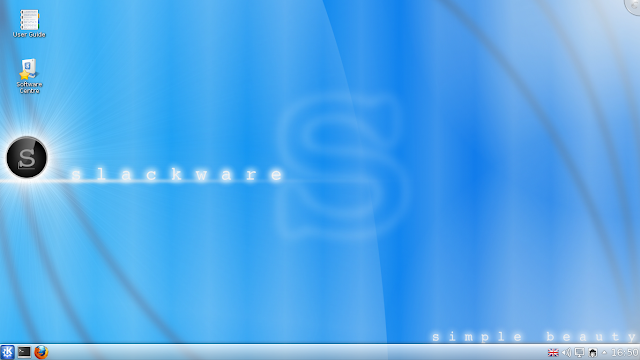 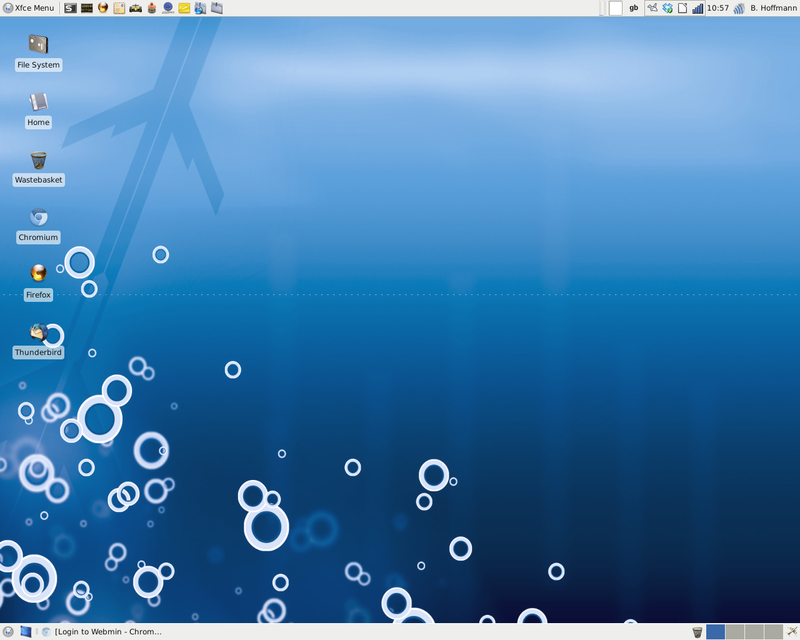 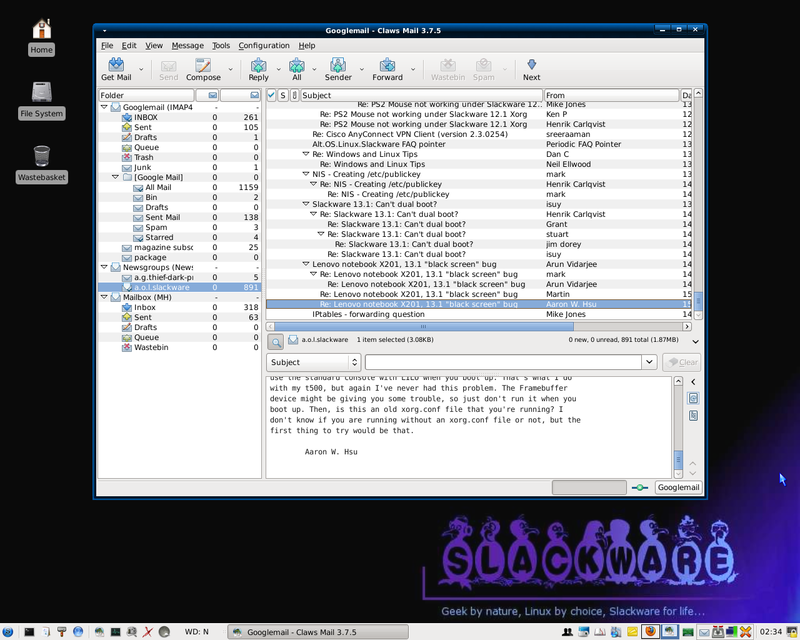 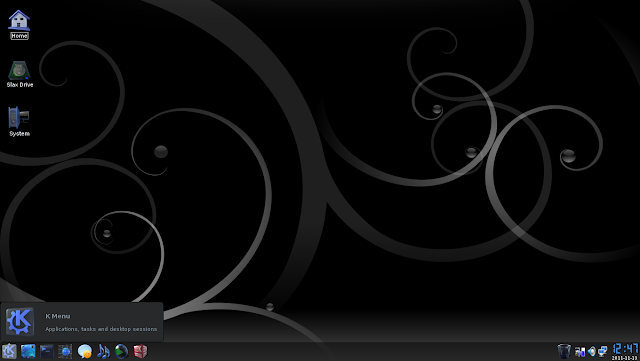 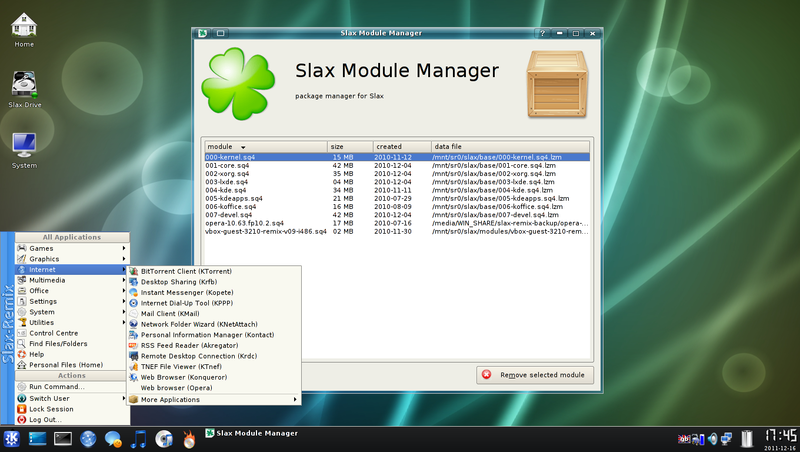 Slackware 12.2, Xfce only, OSX_Aluminium icons. 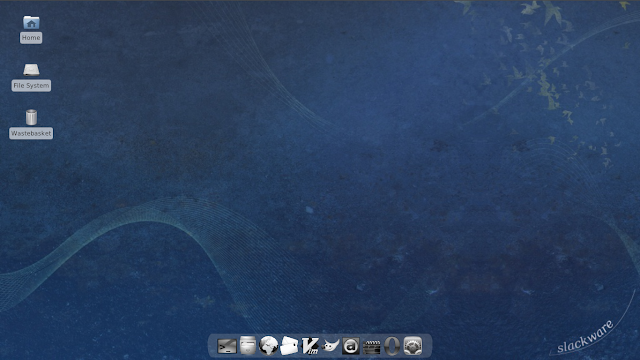 Everaldo's Crystal-project icons and the Geometry of motion wallpaper from kde-look.org, menu with British localization. 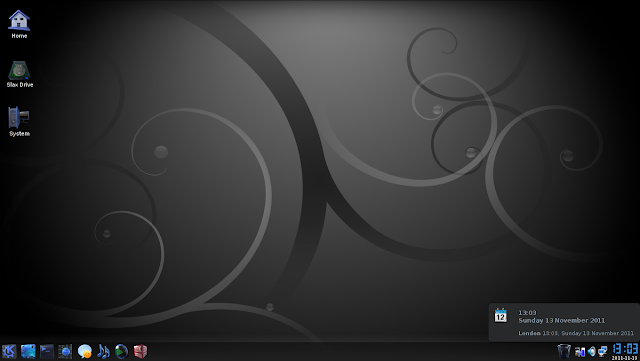 DarkGlass_Reworked icons, Sweet Darkness KDE 3 style theme, and these backgrounds from Pinheiro. 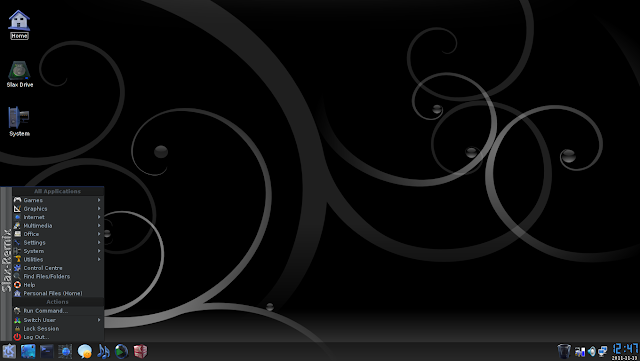 This is the background in the last pic.